The past few episodes of this show have in some ways confirmed my love for the show, but in others cooled my obsession with our divorced couple. Episodes 3-6 really dove into the many issues still resting between them, and honestly confused me in terms of whether getting back together is really the best answer. It's clear that both parties are very different people now, so it'll be hard to use their former relationship as an argument for the future. Additionally, the second-lead siblings were really given a chance to shine, and I'd almost be fine with an alternate pairing in the end. The flashbacks in this set of episodes reveal Jeong-Woo to have been a smitten man almost completely under Ae Ra's thumb. I'm not sure it was a healthy dynamic for him, even though there were endearing elements to that relationship (I mean, he couldn't even watch TV without her permission - pretty sad). It's clear that the Jeong-Woo of the present would never give in as easily to Ae Ra's demands, which makes me wonder if she could be happy if they reconciled. Ae Ra seems to be someone who needs the other party's continual affection and constant devotion, and while she could potentially learn to adjust to his newly found independence, it's going to take some character growth. The house incident was just one example of this change, and while I felt sad for Ae Ra, I was also glad that Jeong-Woo wasn't at her feet this time. I still really like Ae Ra despite the character flaws. She's funny and clearly a good person at heart, and her argument with Jeong-Woo about how she loved the combination of his circumstances and his devotion to her was admirably honest. 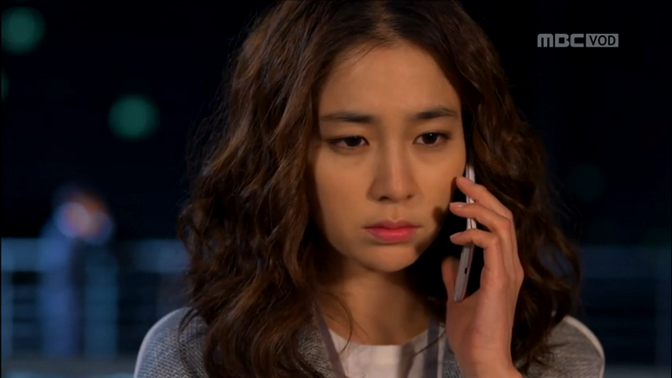 What I'm not sure about is if she ever loved the past Jeong-Woo as the person he was. That's going to be a major gap to overcome. Second lead lady Yeo Jin really stepped up her game in the past few episodes, and even earned my respect for facing her feelings and going after what she wants. That leg scene was a shocker, and really changed the way I saw her. We saw the sweetly hopeful side of her, and that I can sympathize with. However, given episode 6's ending, I fear she's only steps away from going into psychotic second lead territory, which I hope for the sake of both her character and the show that we won't cross. 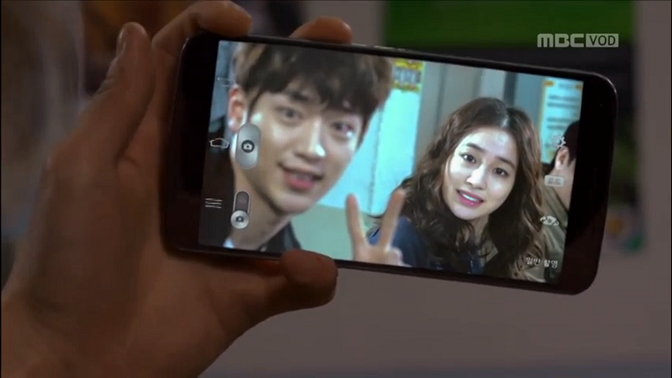 Who else was rolling on the floor over the painfully awkward photo-taking followed by giant-picture-in-room commenting scenes between her and Jeong-Woo? Those moments pretty much convinced me that they're not going to be very compatible as a romantic pair. Yeo Jin and him are both very cerebral people, and it seems he needs a lower-brow person like Ae Ra to build a natural dynamic with. 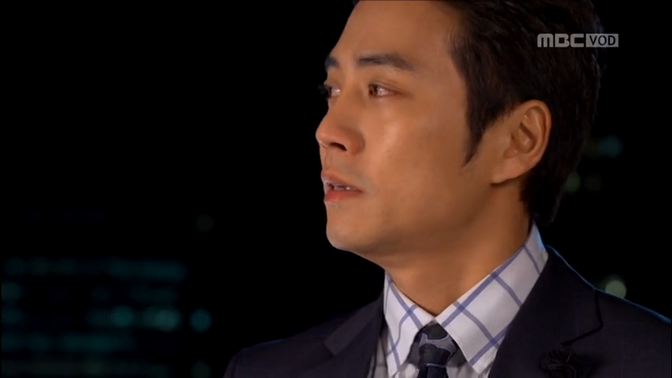 Second-lead guy Seung-Hyun is living up to my expectations so far. Granted, he hasn't had to do much except act cute and looking longingly at Ae Ra, but it's working. He still seems a bit too young for her, but they've at least built an 8-year age gap into the story, so I'm willing to go with it. So far she has yet to reciprocate anything, and I'm not sure the story can allow her to because it'd truly be too hard to say no to this relationship. Seriously, how do you go against this level of cuteness? At this stage, I still prefer Ae Ra with Jeong-Woo, but I'm left doubtful as to whether it's truly feasible given the demons of their past. I could see the story going the way of Queen of Reversals with the second-lead pairings, but just imagine how awkward it'd be for the two of them to become in-laws through the second-pair siblings. The chemistry and feelings are still there for both of them, so I hope the drama lets us see them work out their issues and fall in love again.